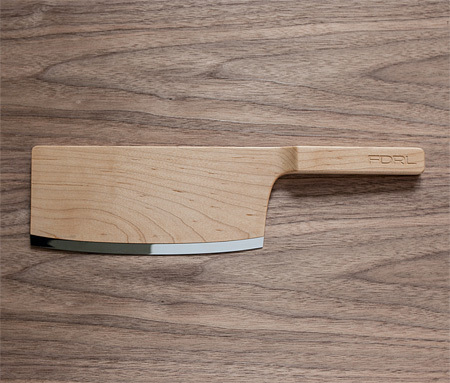 Beautiful knives designed by Ian Murchison and Rohan Thakar of FDRL are made out of high quality maple wood. Unique knives are perfectly balanced and sealed wood is food safe. 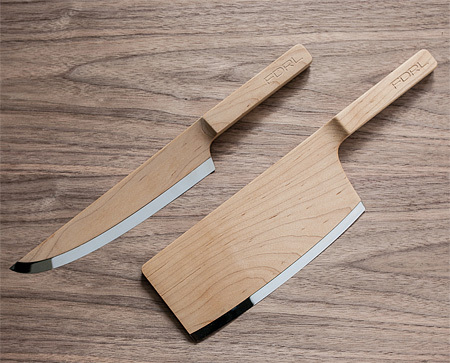 Wooden knives would make a great addition to any kitchen. Looks nice, but unhandy in daily life. 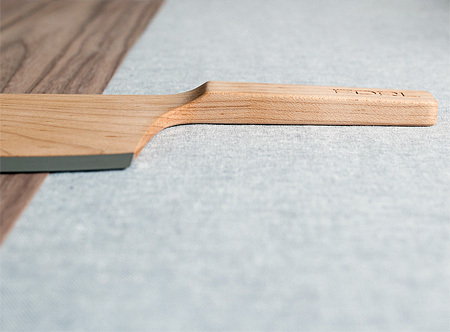 The space between the metal and wood will be unhygienic and it is not dishwasher safe. @Ravi You’re probably right on that. They do make a nice gift though. Could you just hand clean it? Would be stupid to dish wash these items due to the cost :p, I like the idea of changing the material around, changes things for once and gets rid of the common metal. Would prefer to see wooden cutlery rather then plastic ones for fast food? Totally agree with the unhygienic factor. 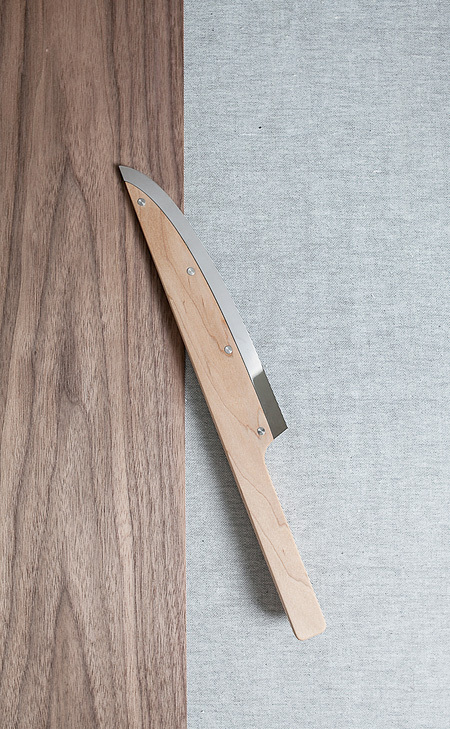 Would there be a chance that the wood would get all scratched up if you tried to sharpen your knives? Knives need to be super THIN and hard to cut through things effortlessly. 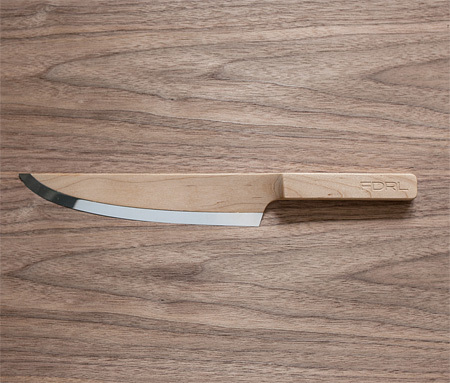 This wooden knife can’t be that thin, and thus will require a lot of effort while cutting or chopping. as a chef I wouldn’t use these, but I would love them for my wall. Their site doesn’t show pricing, but they do say the wood has been sealed. Wood is safe for cooking and working with food. As for cutting and chopping I wouldn’t use these for anything over then vegetables due to their edges ( so would help with food safety mush like coloured handles. ) As for the gap between the blade, it is no more unsafe then most standard whisks. Then again my made knife is a global for the reason of no connections and easy clean. I just wish I can find the cost of these. Maple has natural bacteria killing properties. Most woods have natural antibacterial properties. 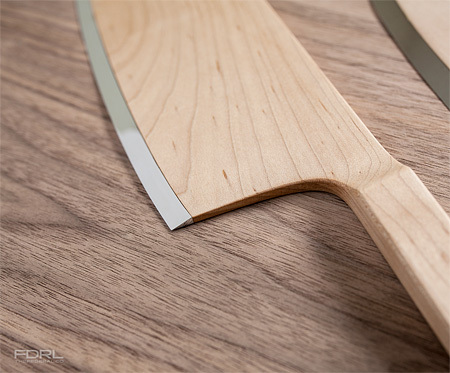 Maple is good, because it is extremely hard and not oily. 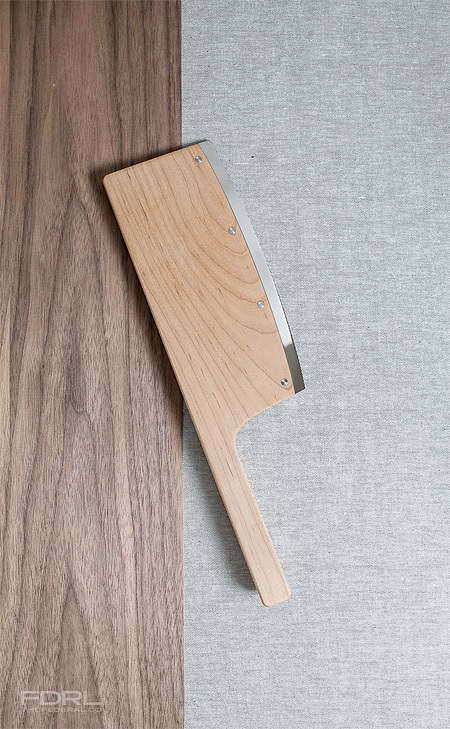 Cutting boards are often made of maple.